Image from Ashley Ann Photography. Isn't this a great idea? I'm am bringing today's Feng Shui Friday challenge back to the basics of organizing. Lately, I have been plagued by the chore of staying on top of my kid's clothing. As you can imagine, with 3 kids of the same gender, I have accumulated a lot of girl's clothes. Keeping all three closets organized with only the appropriate sizes has not been my forte. 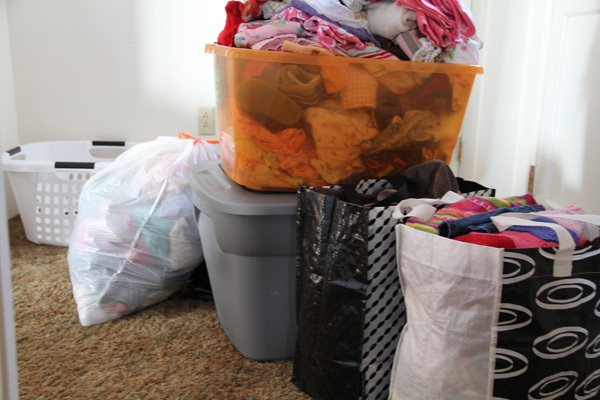 1) Two garbage bags of clothes to toss—clothes that were either stained or damaged. Obviously when I have packed up outgrown clothes I have not been careful about sorting them. This must change. 2) Two bins to donate to Goodwill. 3) Two bags to sell to the local "Once Upon a Child" consignment shop. I had pre sorted out the best brands and clothes in the best condition to sell, and I left with $52 in my pocket, even though they purchased less than half of it. It was definitely worth doing! I just added the rest to my Goodwill donation. 1) Keep only ONE bin per size. This is key. If I keep more than this I will surely forget there is more and miss something. The job of switching out sizes and seasons becomes too big, and it is easier to go out and buy something new than sort through all the clothes to find something that works. If I keep more than one bin I'm likely keeping clothes that are either outdated, ugly, or stained, and quite frankly, my kids just don't need that many clothes. 3) If your first kid doesn't wear it, your next one probably won't either. 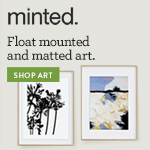 And your younger kids deserve new underwear, socks, and shoes that aren't all scuffed up. 4) Between Christmas, birthdays, and generous grandparents, my kids always have new clothes. If you are afraid to get rid of old clothes for fear they won't have enough to wear, don't be. Clothes have a way of multiplying. And you will want to buy them a few new things of their own. Trust me. 5) Buy the best quality clothing you can afford. After going through my kid's clothes its clear to me that the splurges were usually worth it—especially if they last for 2 or 3 kids. I shop a lot at Old Navy and Target, but I noticed it was the few splurges at Gap and other higher-end stores that made it into my keep piles. 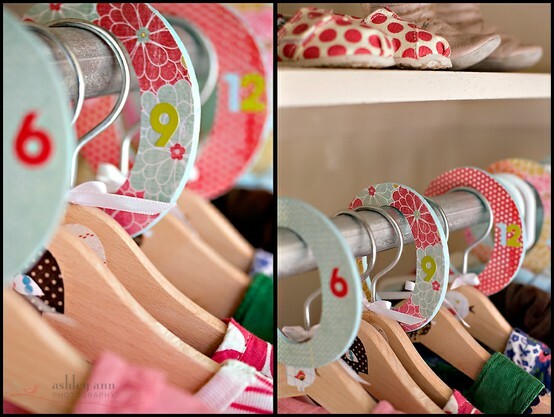 6) Organize your kid's closets at the beginning of every season and go through the next size of clothes. Don't wait until 2 months into winter and realize you had a coat tucked away somewhere and could have saved $40 on the new one you just bought. So, those are my tips. Have any of you struggled with keeping your hand-me-downs organized? If so, how do you cope? I'd love to hear your own tips and tricks!